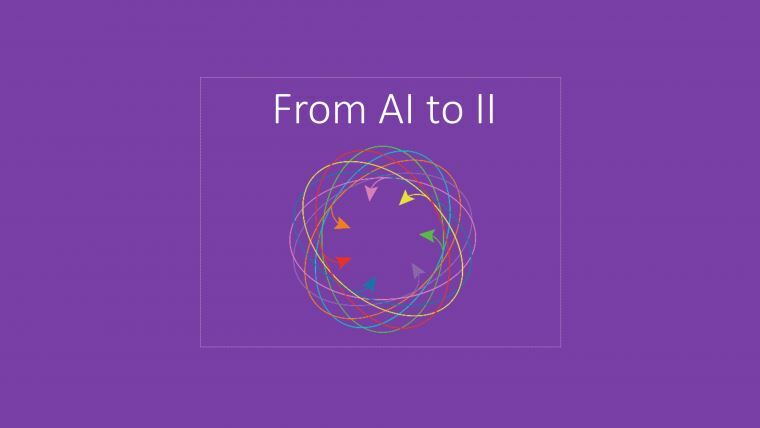 At some point, AI (Artificial Intelligence) will lead us to II (Insights Intelligence). It’s quite possible that within 10 years or even sooner, we’ll see a completely different marketing research industry landscape. During last few decades we have collected piles and piles data. AI has enormous potential to help us analyze and systemize it, transforming Big Data into useful research insights. Moreover, we will discover a lot of opportunities during the course of our journey from immersion into data analysis onto obtaining actionable insights. In such a way, AI will be the core component of market research automation. Undoubtedly AI will change the consumer insights mining process within neuromarketing industry. The whole research industry will be changed. Basically, Deep Learning is the more advanced Machine Learning. Machine learning is based on the concept of feeding computer algorithms with a big amount of data and letting them make their own conclusions about this data. As a result of the analysis, these algorithms produce high-quality insights into the subject of the research. The Deep Learning is practically the same process but within more advanced and “smart” algorithms. It has already revolutionized the neuromarketing research industry by a huge margin. Today, thanks to these technologies marketing researchers, have a diverse and powerful toolkit for consumer behavior analysis. And the more actionable technologies in use, the faster the development goes. As a rule, there are many risks associated with new tech, especially for companies pioneering its application. Though, if applied correctly and with a certain degree of courage new technology will always provide more opportunities than cause challenges. This is applicable for any industry, including consumer behavior research. Some old-school MR/analytics firms will not survive this transition to AI technology. But those who will evolve and adapt, as well as will being able to embrace these changes, will reap huge benefits. The landscape of consumer neuroscience industry will change faster than one can imagine. To be competitive in 5-10-15 years, you have to start using the AI in biometric research already available now. Such top brand names as PepsiCo, The Weather Channel, eBay, Daimler have already used neuro-tools to conduct market research and improve their marketing campaigns. Already there are new technologies, allowing us to get better insights at relatively low prices. Neuromarketing allows you to receive a higher quality of customers’ insights at a lower cost. Changes driven by smart AI algorithms will evoke new opportunities which will revolutionize the insights industry. All businesses including SMEs will use the power of the Insights Intelligence. CoolTool is already rushing into this new, better world. We place our bets on biometric data instead of a traditional collection of surveys’ information. We use machine learning and biometric research to automate the insights collection and processing, to get the most accurate results and real-time analytics. We aim to build smart self-service Insights Intelligence tools by mixing new technologies and traditional approaches to market research. Join our neuromarketing movement and contribute to the development industry. Shelf Testing with Eye Tracking: Became Available, Stayed Affordable.